The Makito X HEVC is a dual channel HEVC (H.265) and H.264 encoder with 3G-SDI and Composite inputs. 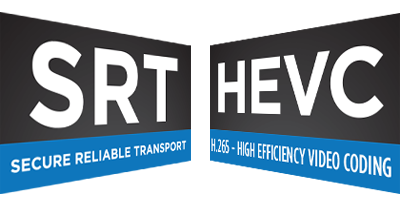 Supporting Multi Bit Rate (MBR) and parallel H.264 and HEVC encoding. Makito X HEVC video encoder compresses and transports secure, high quality, live HEVC/H.265 and AVC/H.264 video over any network at extremely low bit rates. Offering the award-winning features of the Makito X encoding platform but now with an additional HEVC encoding engine, Makito X HEVC is the ideal encoder for broadcasters and defence organisations for live, interactive and bandwidth constrained backhaul and distribution applications. Makito X HEVC can significantly reduce bandwidth requirements relative to H.264 whilst simultaneously offering interoperability with legacy infrastructure. The Makito X HEVC combines the existing four engine H.264 architecture found in the Makito X with a dedicated HEVC FPGA based compression core. The Makito X HEVC is a compact, lightweight appliance with a highly efficient hardware architecture. The Makito X HEVC is excellent for space constrained applications or in remote contribution workflows. The Makito X HEVC is also available in blade format, compatible with Havision’s MB6 (1RU) and MB21 (4RU) chassis. Haivision’s SRT network protocol features packet loss recovery, encryption, real time end-to-end network statistics, options to easily manage firewall traversal and more, for the highest quality live video over any network. HEVC reduces Operating Expenses (OPEX) in your broadcast workflows by reducing bandwidth requirements. Further OPEX savings are possible by leveraging SRT to transmit video streams over less expensive connections such as the public internet. Makito X HEVC encoder is ideal for full-motion video (FMV) applications requiring STANAG and MISP compliant Key-Length-Value (KLV) metadata. Capable of aggregating metadata from many sensors and sources, the Makito X HEVC fuels downstream networks, exploitation systems, and viewers, with frame accurate synchronization. 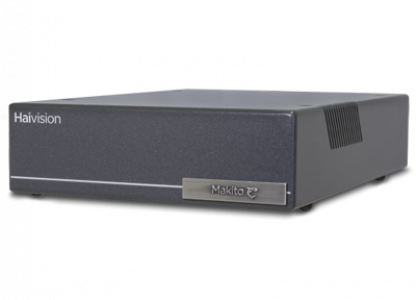 Makito X HEVC is designed for ISR applications where uplink network bandwidth is limited and costly. Increases in compression efficiency impact mission intelligence thanks to increases in quality per bit of video data.